I would like to introduce you to a fantastic app for teaching with the iPad: iPad Teacher Guide ($2.99USD iTunes link). 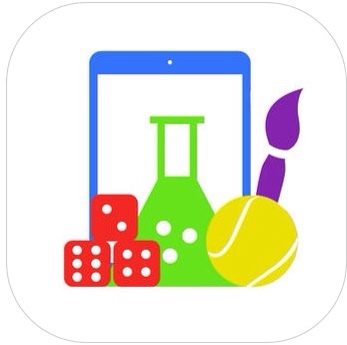 This app includes literally hundreds of lesson activity ideas for all age groups across several subject areas. I am giving you a chance to win one of five promo codes for this app. Just read on until the end of the post to find out how. This is a very useful app for iPad teachers, especially for those just beginning to use the tablet for their teaching. It introduces users to great teaching apps, many of which have been featured here on teachingwithipad.org. It contains several useful how-tos and videos to show you both basic and advanced features of these apps. Users can spend hours simply exploring all the useful videos. Even those who are comfortable teaching with iPads can learn something new. The “Apps” tab contains a list of the most commonly used apps for education. The “New” tab will have announcements that show what is new with the latest version. It will update you with any new tutorials that are available. Simply turn on push notifications, and you will be updated every time new content is added. Finally, the “Blog” tab will show the latest blog posts, once again showing the latest updates and important educational info regarding iPads in education. This is a must-have app for both novice and experienced iPad teachers. It has more information packed into it than you can learn. 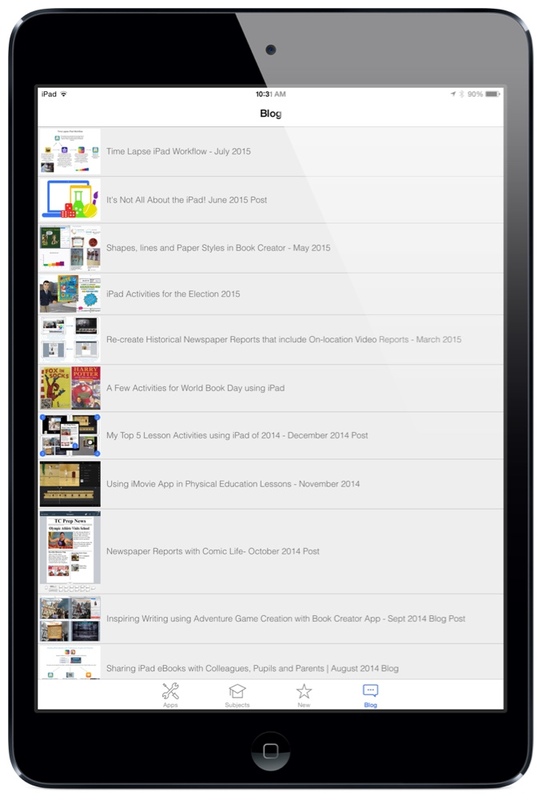 It is a superb resource for educators who wish to use their iPads to the fullest ability. This is an amazing tool to get acquainted with apps that you have heard of, but have yet to master. If your teaching colleagues are unsure of how to use an iPad in class, this is the app for you and your school! Promo Codes for iPad Teacher Guide! Thanks for reading this review. The developers of iPad Teacher Guide have generously given me a few free promo codes to give out for my readers! I would prefer to give them out to current teachers who are beginner to novice level in terms of iPad use. 2. 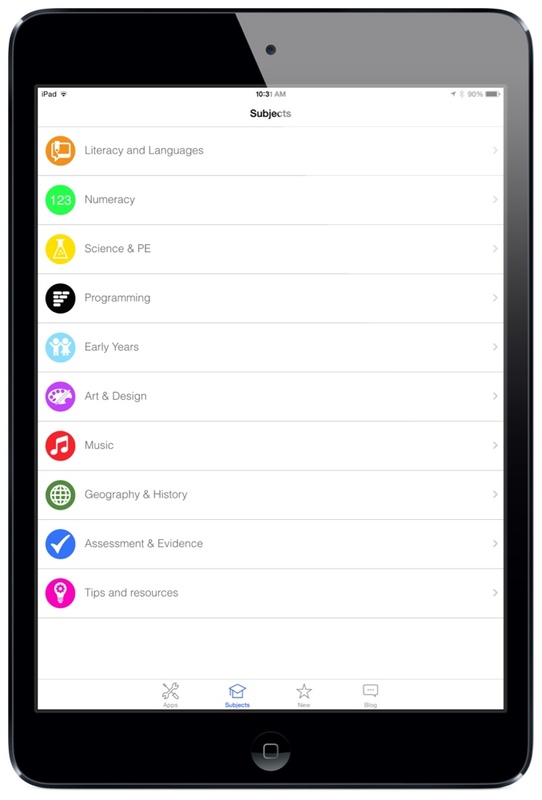 Simply leave a brief comment below on how you could benefit from the iPad Teacher Guide app, and how you plan on using it. Make sure you leave your email address (it won't be shown publicly). I do teach an introduction to the iPad for educators and I am the sole source of staff development for the iPad in our district. In addition to being the staff guru, I also give a short iPad tip at every staff meeting. Thanks for your site…I am honoring your request that the promo codes be for teachers new to iPad….but I’m having to clean a lot of drool off it right now! I am an art teacher and I would like to learn new ways to use it in a large class to make teaching easier and more visual for students. I teach a class at NLU in the use of iPads in the literacy classroom for in-service teachers. I could share the app with my class and they can purchase for use in their classrooms. Our first session is October 3rd! Will majorly benefit my students in particular through enhanced use of technology and under standing the effective use of said devices. Also Plans in the pipeline to deliver a session to trainee teachers on the use of technology in the classroom. I just discovered your site. I hope it’s not too late for a promo code. I work with teachers for PD in 6 schools across 3 towns who are new or beginners to iPad integration and this would be very handy. Thanks so much.